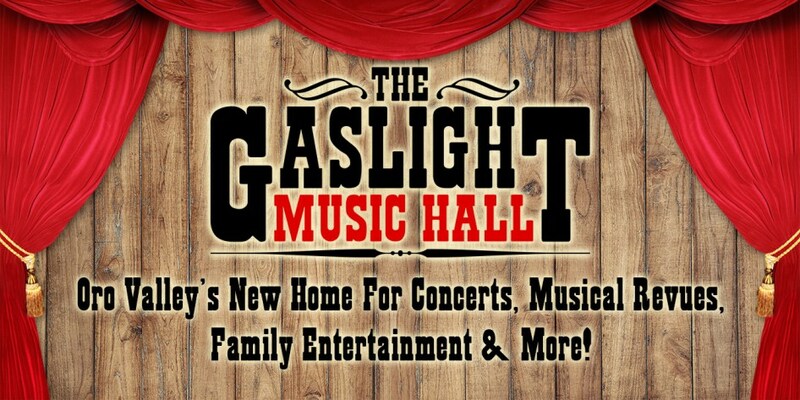 Tucson Happenings would like to thank The Gaslight Music Hall for their support! The Gaslight Theatre family has been entertaining Tucson for more than 38 years and they have recently opened a brand new venue on the northwest side of Tucson, Oro Valley! The Gaslight Music Hall will host a variety of entertaining performances and professional entertainers on their live stage. They are always adding new performances, Tucson Happenings will have all the latest information. 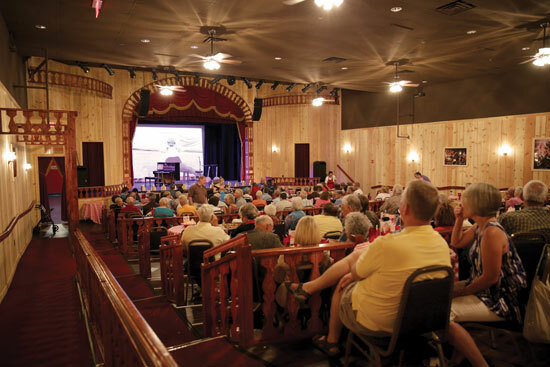 Everyone is welcome at the Gaslight Music Hall, where audiences can enjoy a mix of concerts, musical revues, family entertainment, and all-you-can-eat free popcorn presented in a warm and inviting environment. Groove to your favorite tunes while dining on delicious Grandma Tony's pizza, sandwiches, and salads; then wash it down with a delectable shake, malt, hand-dipped ice cream or sundae. The Gaslight Music Hall is Oro Valley's home for fun! Back Home, Inc. (Tony Terry, President), parent company of Tucson's long-running and much-loved Gaslight Theatre, is thrilled to announce the opening of a new performing arts hall in Oro Valley. 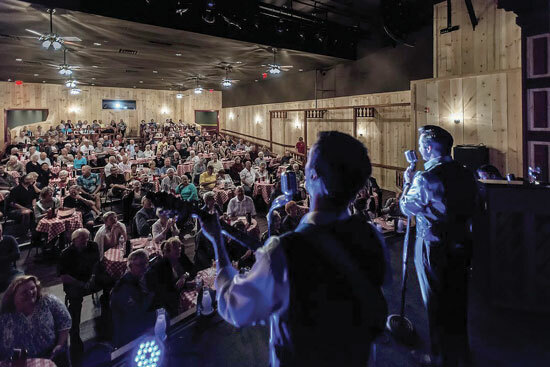 The new venue, branded as "The Gaslight Music Hall," will initially present concerts and musical revues, and also aim to fill a niche for much-needed theatrical rental space in northwest Tucson. Mid-range and long-term plans include educational programs, a Sunday Gospel Brunch, theme nights, and more; all in an effort to become northwest Tucson's destination for family-friendly fun. Patrons familiar with the Gaslight Theatre in east Tucson will immediately recognize the warm, welcoming feel (including complimentary "all-you-can-eat" popcorn) and the cozy decor, though the new venue intends to differentiate itself by offering a variety of programming not currently available in southern Arizona. Those in search of the reliable Gaslight Theatre melodramas will still require a visit to the east-side location to get their fix. "We're not looking to compete with ourselves," says Terry. "Our goal is to offer unique programming that will complement the Tucson arts and music scene, and to become the go-to source for quality entertainment on the northwest side." The venue will also play host to Grandma Tony's Pizza, a full-service award-winning pizza parlor serving lunch and dinner, and Music Hall show patrons will be encouraged to enjoy dining options from a menu comprised of pizza, wings, salads, ice cream, and a full bar. Terry and company have tapped Gaslight alumnus Robert Shaw (founder and CEO of Arizona-based national concert touring company Lonely Street Productions) to help manage the venue. Shaw will serve as Producer and Artistic Director, working closely with Terry and the Gaslight team to craft an experience that will at once feel new and exciting yet warmly familiar.